Veteran journalist and political analyst Eleanor Clift will speak at the May 3, 2012 IPRA (Independent Public Relations Alliance) luncheon on the multiple roles reporters play in the ever-changing media environment, and how public relations professionals can be most helpful to them. She is insightful and a delight as a speaker, generously sharing her insights from years as a writer and reporter for Newsweek, a regular panelist on the wild ride that is The McLaughlin Group, and more recently as a columnist on the MSNBC website and political contributor to Fox News. Clift was the keynote speaker at the Washington Women in Public Relations PR Woman of the Year Awards in 1996 and again in 2005. 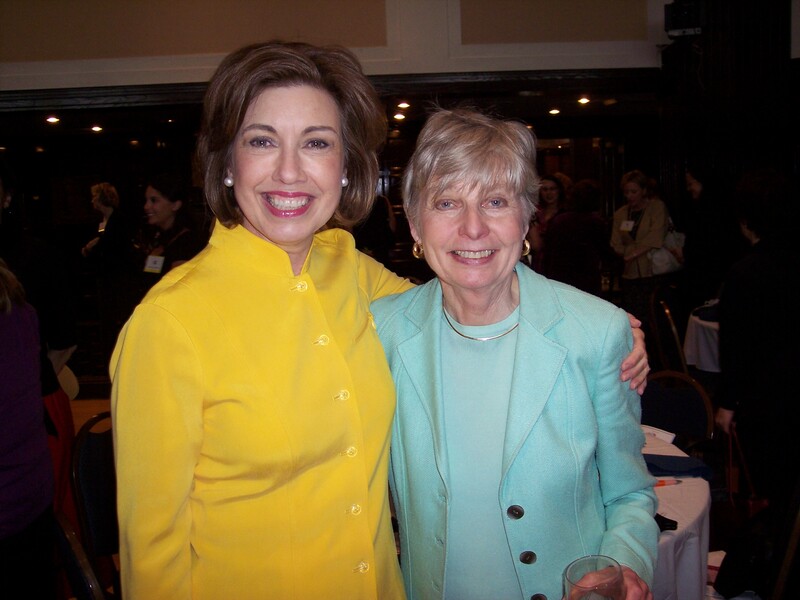 The Association for Women in Communications awarded her the Matrix Award in 2008, and she is pictured here with 2009 Matrix recipient Kate Perrin of PRofessional Solutions, LLC. This entry was posted in PRofessional Solutions News, PRSA-NCC and tagged Eleanor Clift, Public relations. Bookmark the permalink.